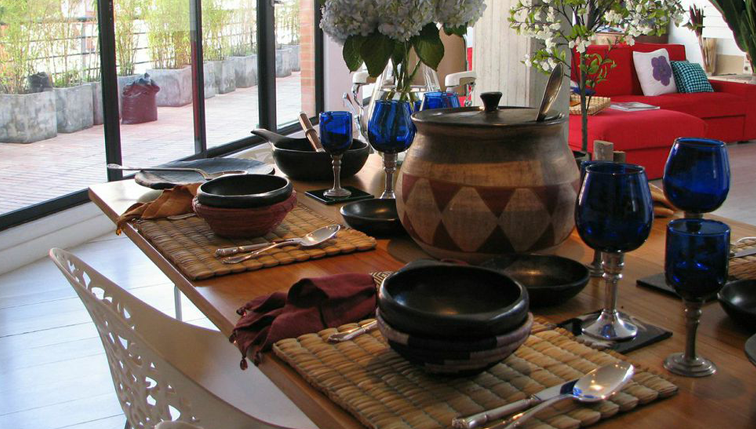 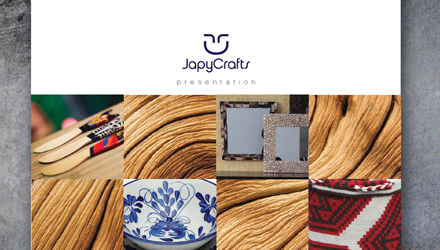 JapyCrafts brings together the talent and skills of craftsmen and designers to give new life to traditional and utilitarian designs of high aesthetic value. 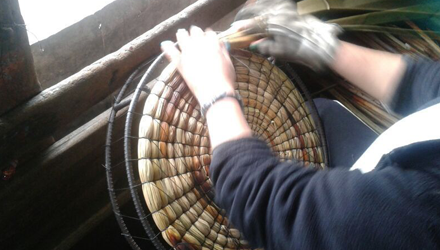 They achieve this by using a diverse range of recyclable raw materials and sustainable resources, while carrying out our responsibility as value creation agents for our stakeholders. 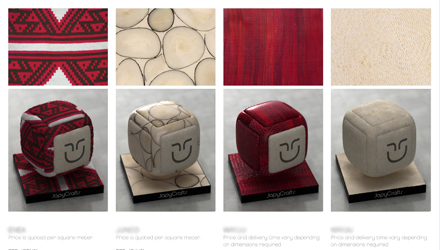 Our mission for this project was to create a complete visual marketing package as well as to illustrate the use of the company’s unique materials on elements of interior design and on other products. 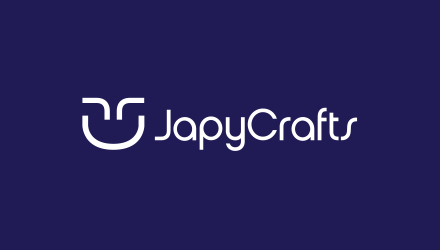 We we charged with creating a new brand for JapyCrafts, a brand that would be used throughout the company’s website, publications, marketing copy and presentation materials. 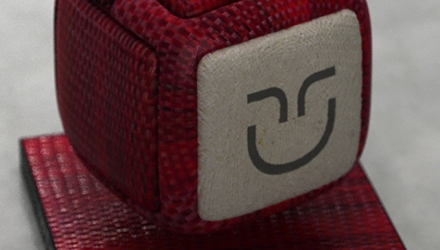 The final concept for the logo featured the JapyCrafts symbol, which resembles a smile and which projects a positive feeling. 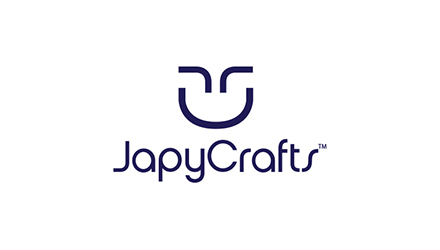 The two eyes in the logo are an extension of the letter J in “Japy” and the mouth is an extension of C in “Crafts.” However, the symbol expands beyond just a smile and a feeling. 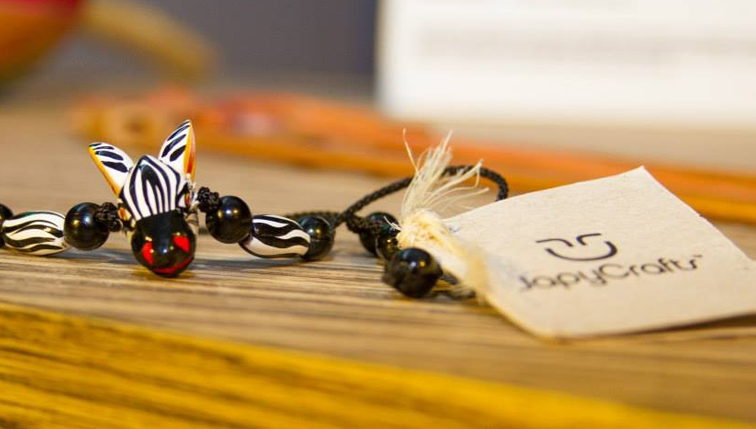 The “C” symbolizes the raw materials harvested from the earth and the “J” represents the hands of the skilled craftsmen. 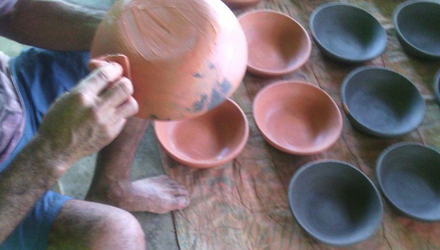 In addition, the positioning of the “C” symbolizes a bowl that the craftsman uses to hold the materials he or she uses to produce the craft. 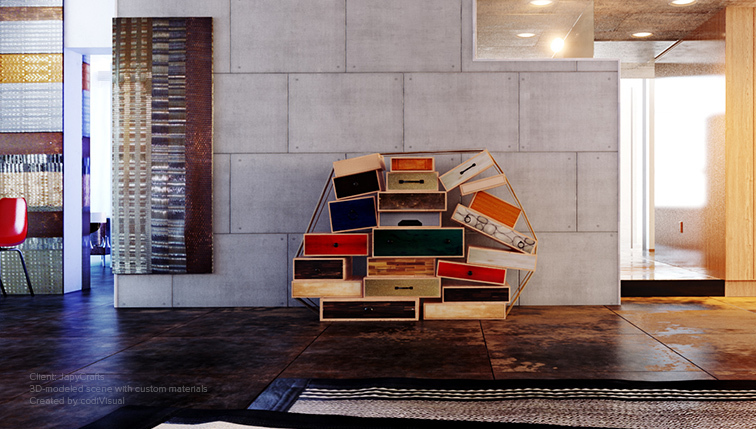 Taken together, the symbol stands for creativity, artisanship, craftsmanship, ingenuity, a quality product and a higher purpose. 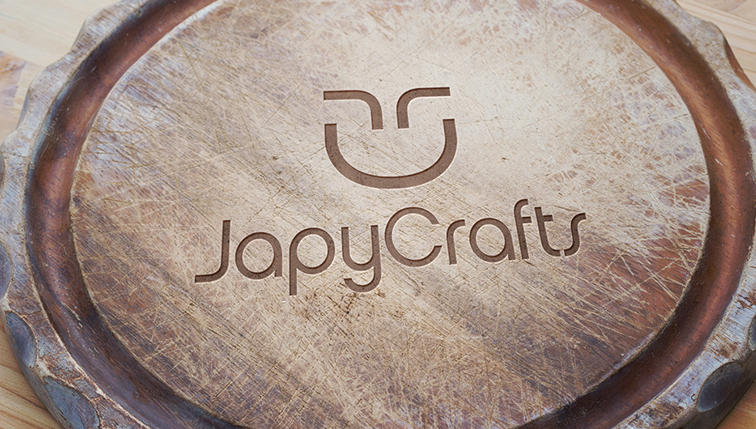 In order to showcase JapyCrafts’ beautiful hand-made materials, we created several custom 3D mockups, featuring the company’s hand-crafted samples. 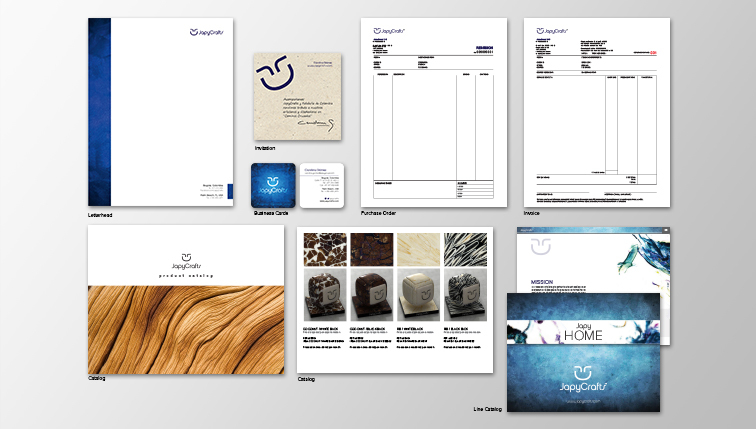 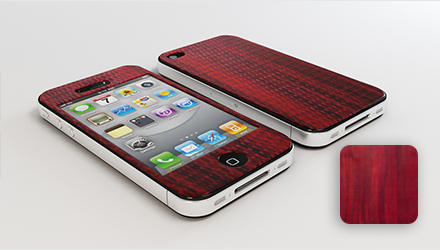 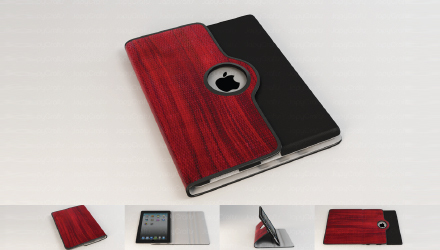 These mockups were used in their presentations and in their sales catalogues. 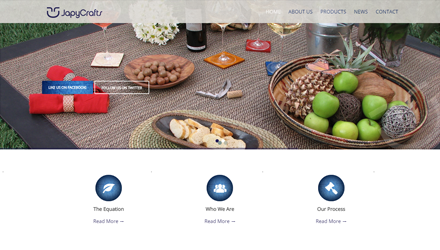 CodiVisual was able to create a beautiful, striking, easily-recognizable visual identity, along with several branded presentations, brochures, product labels, forms, marketing material and 3D sample models plus a template-based website.